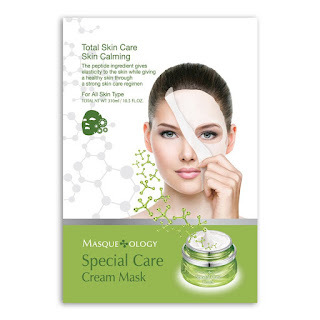 Masqueology makes all kinds of different masks for different kinds of skin problems. Today I will talk about two sheet masks that I tried out. One is a sodium hyaluronate sheet mask and t the other is a peptide sheet mask. Both are very useful for anti-aging purposes. 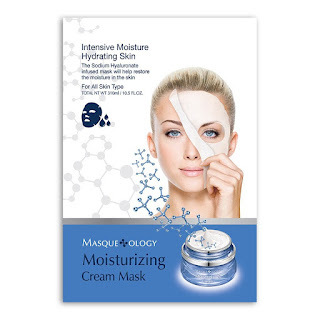 The Moisturizing Cream Mask with Caviar by Masqueology is an intensive moisture mask that hydrates the skin. Sodium Hyaluronate is infused into the mask to help restore moisture into the the skin. It diminishes the signs of fine lines and wrinkles. It also helps to tighten and lift the skin.Finally, it brightens tired looking skin. This mask has caviar to help regenerate the skin, to help keep skin more elastic and plump and to moisturize the skin. It also has hyaluronic acid to hydrate and repair the skin and to moisturize the skin. There are three ingredients int this mask that moisturize the skin. This mask definitely moisturizes the skin, keeps it hydrated and makes skin feel softer and smoother again. Afterwards skin will feel amazing. Skin will be softer and hydrated, moisturized. Keep skin feeling this way by doing this mask once a week. 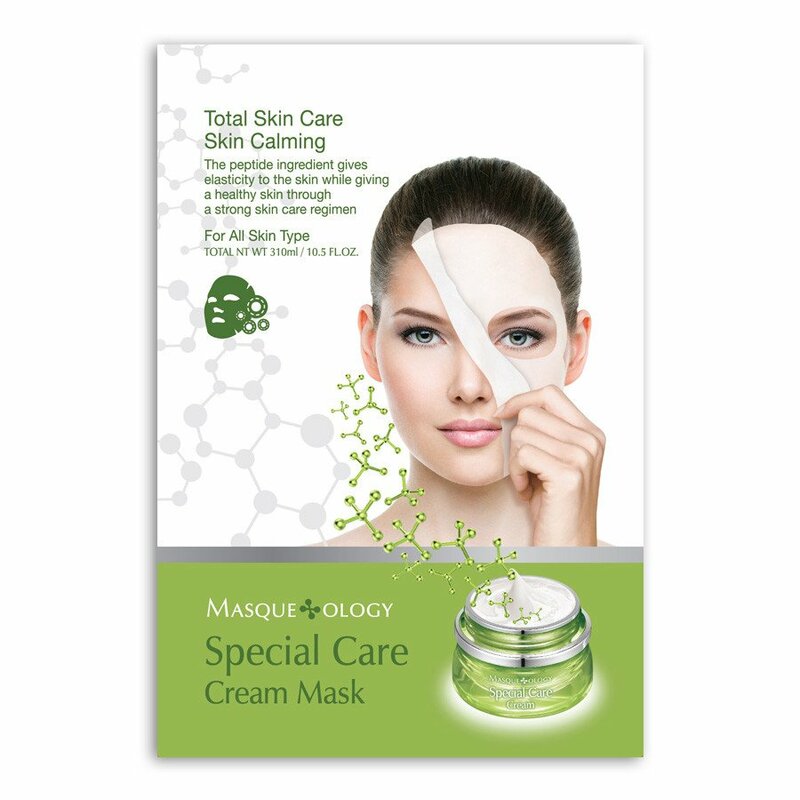 The Special Care Cream Mask with Aloe Vera & Peptides by Masqueology is a total skincare calming mask. This mask helps to calm sensitive and dry skin.It is very moisturizing and hydrating to the skin. It diminishes the visible signs of fine lines and wrinkles. Finally, it lifts and firms unbalanced and tired skin. The peptide ingredient helps give elasticity to the skin while making skin look and feel healthy through a strong skincare regimen. It diminishes fine lines and wrinkles and lifts and firms the skin. Aloe vera helps to calm the skin and also helps to hydrate and moisturize the skin. Adenosine is an anti-inflammatory. It helps to penetrate deep into the she skin to reduce wrinkles. It also repairs damaged skin. Niacinamide, also known as Vitamin B3, helps reduce hyperpigmentation. It reduces fine lines and wrinkles. And it helps aginst dark spots. You will find that your skin feels great after this mask. It feels especially soft and smooth, brightened somewhat. This does help with pigmentation issues. It's an all around good mask. To keep up the good results use it once a week for best results. Masqueology masks are available online at www.masqueology.com. There are other masks available too, many more. Like Masqueology on Facebook:https://www.facebook.com/masqueology/; Follow Masqueology on Twitter:@masqueology and Follow Masqueology on Instagram:https://www.instagram.com/masqueology.